At Clay Bottom Farm, author Ben Hartman and staff practice kaizen, or continuous improvement, cutting out more waste--of time, labor, space, money, and more--every year and aligning their organic production more tightly with customer demand. Applied alongside other lean principles originally developed by the Japanese auto industry, the end result has been increased profits and less work. Farming is not static, and improvement requires constant change. 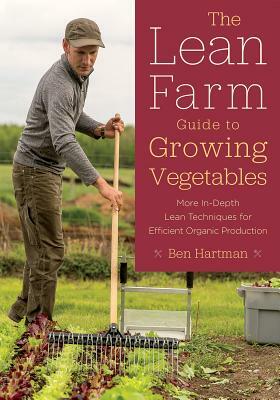 The Lean Farm Guide to Growing Vegetables offers strategies for farmers to stay flexible and profitable even in the face of changing weather and markets. Much more than a simple exercise in cost-cutting, lean farming is about growing better, not cheaper, food--the food your customers want.